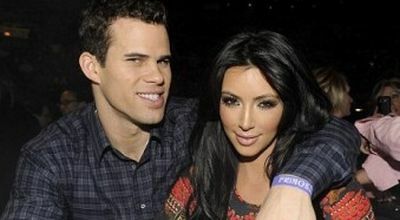 After Kim Kardashian's engagement with Kris Humphries, The NFL Star on May 2011, in which full of surprising engagement ring that was designed by Lorraine Schwartz, features a 16.5 carat emerald cut center stone flanked by two 2-carat trapezoids, and priced 'only US$2 MILLION', then Kim also spreading the wedding invitations. According to the Kim Kardashian's wedding invitations, the wedding day will be held in Montecito, California on August 20, 2011. This wedding invitation was designed by Lehr & Black, that has also created wedding invitations for Gwen Stefani and Gavin Rossdale, Fergie and Josh Duhamel, and Kim's sister Khloe Kardashian and Lamar Odom. In this wedding day, Kim Kardashian will wear the wedding dresses that would be designed by Vera Wang. Kim Kardashians has believe that Vera Wang is the best wedding designer who will support and help he to realize her dream to wear an amazing wedding dress in her big day. Not only that, before this moment, her sister, Khloe Kardashian also use the wedding dresses that was designed by Vera Wang.